Today ONLY (8/6), Save 46%–61% on select remote-controlled toys. This is one of the higher end toys with really HIGH REVIEWS - Redcat Racing - Cyclone XB10 $69.99 (Retail $179.99). Enjoy speed and control with this Redcat Cyclone off-road electric buggy. This hobby grade RC has rear-wheel drive with a fully adjustable suspension and oil-filled shocks to handle challenging terrain. 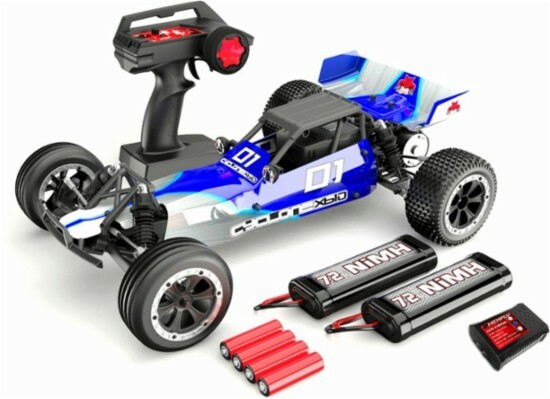 This 1/10-scale Redcat Cyclone off-road electric buggy includes two 7.2V NiMH batteries and a 2A fast charger to keep the fun going.